Everyone knows that play is a big part of childhood, but did you know that it can be used to help children learn? 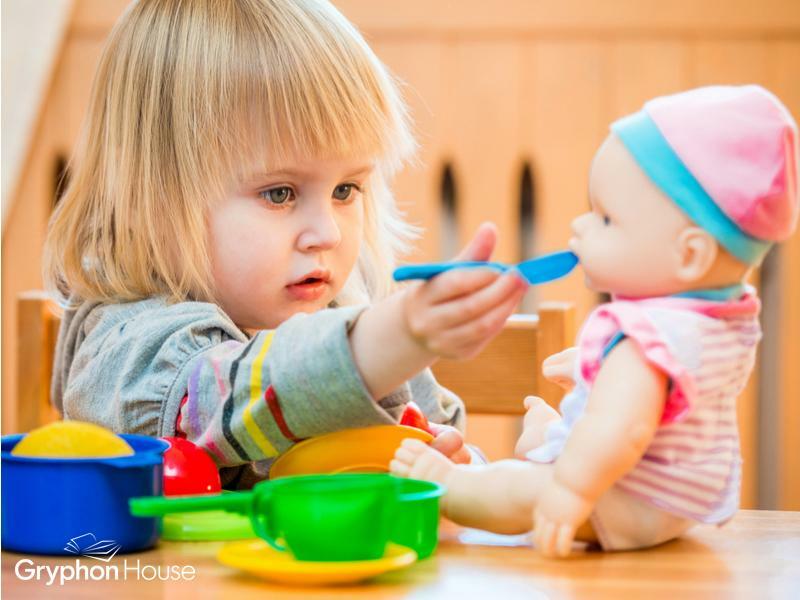 Children experience the world through play; their first experiments, first stories, and even first interactions with their peers and parents are often in play scenarios. Play is a versatile tool in early childhood education, one that can educate and aid as well as entertain. Play therapy refers to exactly that: using play as a tool to help remedy certain issues. With the right direction, dramatic play can develop emotional skills, encourage scientific curiosity, reinforce literacy skills, and establish social connections. Children with Autism Spectrum Disorders and developmental delays can also benefit from play therapy. The freedom of creative play gives these children a safe opportunity to explore emotions and social situations that may be difficult to create otherwise, and teachers can help bolster academic skills by encouraging exploration of math or literacy in dramatic play. So how can caregivers use this therapy with their little learners? Kristen Kemple provides some ideas in her book Planning for Play: Strategies for Guiding Preschool Learning. This resource illustrates through examples how play can be used as a learning tool for a variety of content areas. Here are some simple tips for providing play therapy in your program. Provide a quiet, private space for therapy to take place. Part of what differentiates play therapy from regular recreational play is the level of freedom children have over the play space. Children partaking in play therapy should have access to as many toys and stations as they want, allowing them to be creative and play with few restrictions. Noisy, crowded environments limit where a child can play and can be overwhelming, especially to children with autism. Rather, the space for play therapy should be quiet, diverse, and intimate, allowing the child room to experiment. Start unstructured. Begin a play-therapy session by letting the child play and explore with little direction. This allows him to get comfortable with the space and establish his own playscapes and stories. In some cases, unstructured play may be all that is needed; the caregiver can observe the play to see what the child is focusing on. If he appears to have two dolls interacting appropriately like children in the classroom, it is clear he is practicing social skills without prompting. Another child might start drawing letters as she plays “teacher,” imitating what she experienced in school that day. Both these scenarios show the children already incorporating learning into their play, meaning that guidance would be at a minimum. Add structure to the play scenario. Structured play incorporates input from the caregiver to strengthen skills through free play. Once a child has been playing for a while and seems comfortable in the space, the caregiver can begin trying to guide the play to include things like literacy or social skills. Structure can be introduced at any stage of the play session. Take the example from the previous step: though the boy is already practicing social interaction, a caregiver can try joining him and introducing a new conflict for the dolls to act out. What if one doll takes a toy from the other? How would the child react in such a situation? The structure of the play may simply be playing with another person; for children with autism, social play is tricky due to their difficulty communicating. Play therapy provides the chance for them to practice interacting with others in a secure environment. Make sure a variety of toys are provided. There’s no limit to the kinds of play stories children can create. 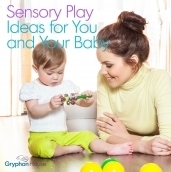 Symbolic play is a key part of play therapy, so a variety of items and structures should be provided in the play area. Blocks, stuffed animals, dollhouses, toy food, crayons and paper, and even random, implacable objects are the canvas for a child’s expression, and can become useful learning tools. When setting up a play space, have different parts of the room dedicated as a dress-up area, coloring station, or play kitchen. Play therapy is essentially a way for children to test-run certain skills. By giving children a safe, secure environment to apply the things they’re learning, teachers and caregivers allow them to make mistakes, learn from their experiences, and grow. Play therapy is an excellent, easy resource for any early childhood teacher, parent, or caregiver.